UK police are proving more and more inventive in their search for ‘less lethal’ ways to disperse protests. Chemical irritants, bizarrely-named ‘skunk oil’ and other ‘inventions’ are being presented as alternatives to plastic bullets. ­Last year’s riots resulted in the police and public contemplating new means of quelling riots. In October, the Home Office’s Centre for applied science and technology (CAST), a corps of scientists and engineers who develop new technologies for the police, convened a brainstorming event to discuss new ideas. The briefing for October’s brainstorming event was released specifically for the police in Northern Ireland and was obtained by the Guardian newspaper under the Freedom of Information Act. The paper mentions a number of ‘innovations’ with some rather creative names. This includes the Discriminating Irritant Projectile (DIP), a special bullet loaded with an irritant, possibly CS gas or pepper spray, that gets splattered on the victim upon impact. The firing range of the weapon is 25-65 meters. Another notable riot disperser mentioned by the briefing was a something referred to by CAST as ‘skunk oil’. The system involves firing special pellets from a weapon similar to a paint gun. Upon impact, the pellets release an obnoxious-smelling liquid likely to make rioters want to go home to change their clothes. The briefing also speaks about the need to develop “counter-laser dazzle” technology to protect police officers from being dazzled by lasers like the ones used in the riots in Greece. This would involve equipping the police with goggles, filters, shields, visors and ‘reactolite lenses’. But the briefing also says October’s brainstorming session recommended that the police conduct the assessment of new technologies, such as acoustic, directed energy and laser dazzle. 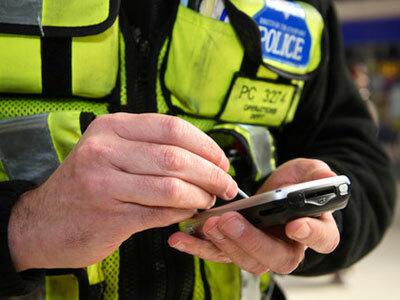 Other recommendations include developing a system to monitor and display the position of officers during disorder, improving communication between officers, developing methods to mark and identify offenders for prosecution and to create tools that would collate data from social networks and other open sources to quickly and reliably predict riots. All in all, the briefing notes that “no ideas” were ‘too stupid’ or 'off the wall' to consider” for the brainstorming session. Large sections of the published briefing were abridged by the Home Office, which designated them as “commercially sensitive”. ­Participants in the October brainstorming session included police from London, Northern Ireland, the Police Federation, the Serious Organized Crime Agency (SOCA) and the Ministry of Defence’s Defence Science and Technology Laboratory. 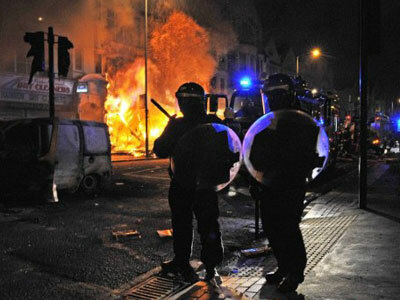 Last year’s August riots began in London after police killed a 29-year old black man. 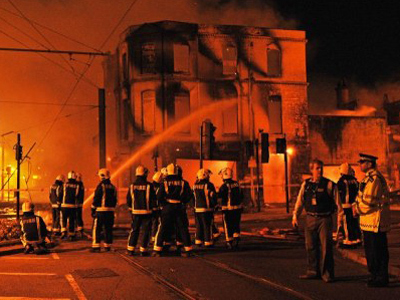 The rioting then spread to other cities in England and lasted four days. Five people were killed and over 200 injured. 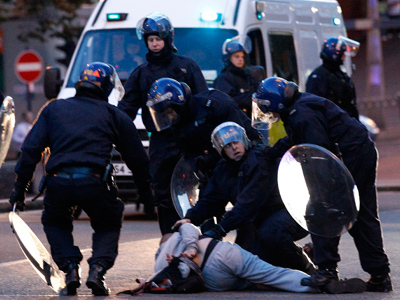 Police later arrested over 3,000 people in connection with the riots. 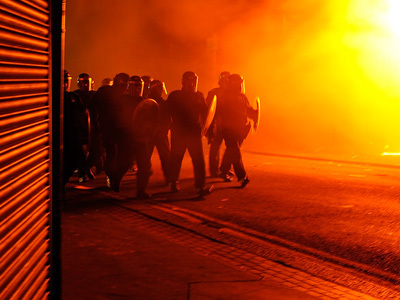 Shoot the arsonists: UK cops to use live rounds during riots? ‘Banned’ nerve gases to be used on UK streets?